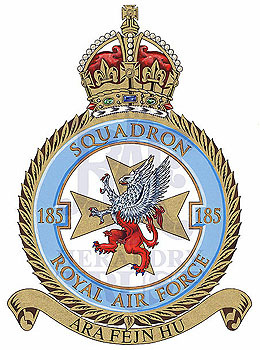 Link: The badge was selected by the squadron during the severe enemy attacks on Malta. The reason for the griffin was that this animal – half eagle and half lion – was indicative of the co-operation between the air- and groundcrews in the defence of Malta and is shown in the country’s national colours. Motto: Maltese: Ara fejn hu – Look where it is.